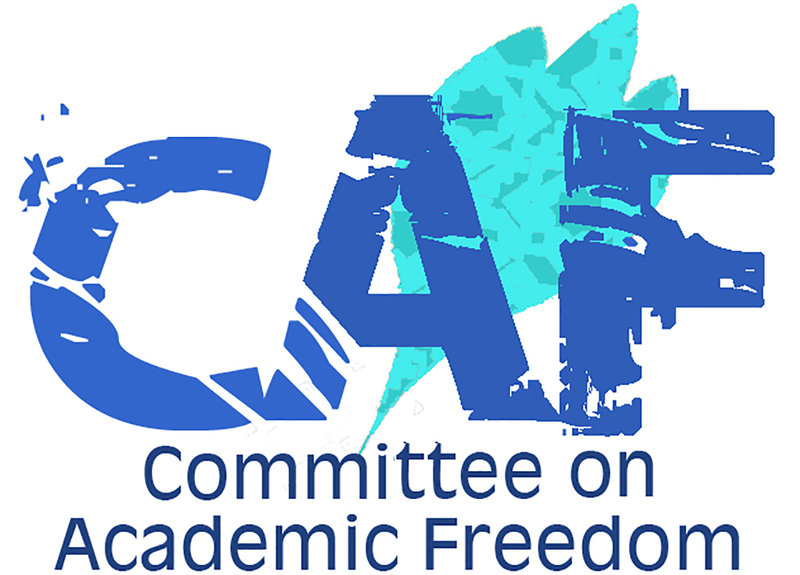 We write to you on behalf of the Committee on Academic Freedom of the Middle East Studies Association of North America (MESA) to express our dismay regarding the severe and unreasonable limitations imposed on foreign nationals who are faculty members at Birzeit University (BZU) and other Palestinian universities in the West Bank and Gaza. These faculty, some of whom have been teaching for years in Palestinian universities, now have to deal with a wide range of arbitrary demands and conditions in order to obtain re-entry visas that permit their employment in Palestinian universities. Moreover, for the past two years, the Israeli authorities have increasingly denied visas – both new and re-entry – to such academics, to a degree that severely imperils the quality of Palestinian education and the right to education of Palestinian students. Like peer institutions across the world, Palestinian universities employ academics and administrators who are foreign nationals. For the past two years especially, these faculty and staff members have encountered numerous arbitrary measures imposed by the Israeli occupation authorities which endanger their employment and the quality of their research. These measures include: changing documentation requirements without prior or official notification; lengthy processing periods that force applicants to overstay valid visas or leave the country; shortened and arbitrary duration of visas; the issuing of visas that allow the holder to reside and work only within the West Bank; restrictions on ports of entry/exit; and demands for financial bonds of 20,000 to 80,000 NIS. The application of such measures has not been transparent, and hence foreign nationals are unable to determine if they can accept a job offer from a Palestinian university; if they will be able to continue their employment for the duration of the appointment; or if, as a university employee they would be permitted to travel abroad for academic conferences or for conducting research. Indeed, travel to a conference --in the United States, Europe, or the Middle East --or making a research trip to an archive, including archives in West Jerusalem, could threaten the future employment of these professors, thus negatively affecting the quality of the scholar’s research. Because of these arbitrary and opaque measures, there has been a sharp decrease in the number of international academics in Palestinian universities. A survey conducted in February 2018 by the Palestinian National Authority’s Ministry of Education and Higher Education showed that the past two academic years (2016/2017 and 2017/2018) were exceptionally difficult for foreign nationals. The job security of US, British, Dutch, French, German, Indian and Jordanian citizens working as faculty and staff in several Palestinian universities (Al-Istiqlal, Al-Quds Open, An-Najah National, Birzeit, Hebron, Kadoorie Palestine Technical, The Arab American, Jenin, and the University of Palestine in Gaza) was under severe threat: over half of these scholars faced denials or restrictions on entry and residency. Israeli authorities denied twelve entries into the country and at least 20 academics are currently facing obstacles to extending/securing visas. Denials or restrictions on entry and presence have been particularly devastating for BZU. Almost all foreign national academics and staff, from chairs to administrators, have encountered problems in visa renewals over the past year. The denial and restrictions of entry and residency visas have harmed the daily functions of BZU: teaching, instruction in foreign language, curriculum planning, committee work, supervising theses and papers, conducting research -- in short, everything that academics do to ensure the proper training of students and the quality of their research. Some of these professors began to work at the university more than a decade ago and have long-standing connections not only with students and colleagues, but also with the community in which they live. The situation deteriorated further in June 2018, when Israeli authorities denied visa extensions to seven international faculty members, one-third of the international staff at the university. Two professors who are US citizens were given two-week tourist visas upon returning from a trip abroad in May and were unable to secure a new visa at the Israeli military coordination office in Ramallah. Since June, Israeli authorities have refused to renew the visas of at least five other international faculty members at Birzeit University. These measures have short-term and long-term effects. In the short term, they jeopardize academic and administrative work in these universities. In the long term, they imperil the right of Palestinians to education, isolate the Palestinian community from the rest of the world, and may eventually cause severe harm to the educational and employment opportunities of the next generation of Palestinian students. We condemn, in general, the ongoing constraints imposed by the Israeli authorities on the higher education sector in the West Bank and Gaza. We condemn, in particular, the denial of the right to education of the hundreds of students in the West Bank who have been taught and mentored by these professors, and the imposition of capricious, ill-informed, and cruel measures on our colleagues. These measures violate principles that should be protected, and indeed cherished, in any democratic state and are in contradiction of international humanitarian law and international human rights law. As occupying power, Israel must maintain the functioning of Palestinian civil institutions, including Palestinian universities. In other words, Israel is obliged to maintain a transparent policy that allows the entry and presence of foreign faculty and staff members in a manner that does not harm or endanger Palestinian higher education. It is obligated, as well, to ensure the right of the Palestinian people to education. The right to education is enshrined in Article 26 of the Universal Declaration of Human Rights (1948) and Article 13 of the International Covenant on Economic, Social, and Cultural Rights (1966), an obligation ratified by Israel. We therefore call upon you to ensure that these professors can renew their visas, and that the academic restrictions, whose sole purpose is to make it exceedingly difficult for foreign nationals to work in academic institutions in Palestine, be abolished immediately. More specifically, we ask that Israel abolish these random denials of entry to foreign nationals traveling to the West Bank and Gaza, adopt a transparent policy, and provide assurances that academics who have been unjustly denied entry will be allowed to re-enter the West Bank and Gaza. We also ask that the Israeli authorities cancel the policy that restricts foreign academics to the West Bank, and respect their right to freedom of movement.